Some say that attaining human happiness is as easy as adhering to a scientific formula. Others – that it’s more of an art. And among the latter is none other than Dalai Lama. Who Should Read “The Art of Happiness”? And Why? Unfortunately, nowadays suffering seems to be a part of everybody’s life. For example, there are at least 40 million people in the US alone, not to mention globally who suffer from depression. And that’s why books such as “The Art of Happiness” exist. In fact, its title may be misleading. Because everyone can be happy when life is treating them fine; the point is to remain happy when things inevitably turn against you. Read “The Art of Happiness” if you want to learn how you should deal with suffering. Or, for that matter, almost any negative feeling: pain, anger, anxiety, depression, guilt. After all, its author is someone praised as “the source of all sentient beings’ happiness,” And, by acclamation, one of the most spiritual beings living on this planet. Dalai Lama is actually the title Tibetans give to their spiritual leaders. The one shown in the photograph is the last in a line of fourteen. His name is Tenzin Gyatso. He was enthroned as the Dalai Lama in 1940, and he assumed political duties ten years later, at the age of 15. Tenzin Gyatso, the 14th Dalai Lama, won the Nobel Peace Prize in 1989 and is one of the most widely revered and respected men on the planet. He has authored many books, most of which are translated into many languages, and oft-quoted in each of them. Among them is his most recent one, “The Book of Joy,” co-authored with Desmond Tutu. Strictly speaking, “The Art of Happiness” is not actually written by the 14th Dalai Lama. But, its actual writer’s only intention is to relate Dalai Lama’s teachings – in His Holiness’ words. That’s why the book can be best summarized as lists of quotes and monologues by the Dalai Lama, well organized by Howard C. Cutler, a Phoenix psychiatrist, in 5 parts and 15 chapters. The first part is titled “The Purpose of Life,” and it consists of four chapters. The basic idea of this part is relatively simple: we are not only born to be happy, but we’re also born happy. The problem is that we need some help to reclaim the state of innate happiness. Which is, in fact, the purpose of life. Are you ready to take the next step? Walking on air as a way of life is not easily achievable if you are not equipped with the right mindset. However, in order to discover what makes us happy, we must also find out what makes us unhappy. So, we must learn about our world and train our minds and bodies accordingly. For example, many people are unhappy because they compare themselves to people who earn more than them. The Dalai Lama says that the trick is to flip this relation: why aren’t we comparing ourselves to the less fortunate? The second part, “Human Warmth and Compassion” is dedicated to a deeper exploration of these categories. For example, according to the Dalai Lama, the Western concept of romantic love is very narrow and ultimately flawed. We must learn to connect with much more than one person. And in a much more profound and more meaningful way. Because helping others makes us happier. And because it’s the one thing we can hope for when the suffering comes. It’s that simple, – it’s not a rocket science for God’s sake, but we so effortlessly disregard these teachings and focus on the material side of things. Suffering is merely the end result of wanting – not accepting your current situation induces sorrow on a colossal scale. Shift your mindset and attention to things that you feel grateful for. A twist of perception is more than enough to get the ball rolling. And that’s what the third part of “The Art of Happiness,” “Transforming Suffering” is all about. Understandably, the Dalai Lama thinks that suffering and pain is an inevitable part of our existence. Moreover – and just like any Buddhist – he also feels that it may be one of the more important parts as well. Life shouldn’t be about trying to avoid suffering; it should be about facing it and finding meaning inside it. As he says – suffering is there to teach us about comfort. Because if we didn’t feel pain, we’d stick our hands in fires and burn them altogether. But, what about anger, hatred, and anxiety? Well, that’s what the fourth part, “Overcoming Obstacles,” is dedicated on in its entirety. The basic premise: you can’t control what’s happening to you, but you can control how you react to it. Finally, the fifth part, “Closing Reflections on Living a Spiritual Life,” is a one-chaptered conclusion about what it means to live spiritually and which religion offers the best road to happiness. Unsurprisingly, according to the Dalai Lama, it’s all of them – if practiced the right way. Almost every philosophy is based on a straightforward notion: the purpose of life is to be happy. But, the 14th Dalai Lama says, it’s not enough to just know this – you must also really understand it. For example, comparing yourself to the wealthier will leave you with a bitter taste in your mouth. So, why don’t you start comparing yourself to the ones less fortunate than you? Just think about it: if you’re reading this summary, there are probably at least 4 billion such people worldwide! The western idea of romantic love revolves around the concept of “the one.” The prince on a white horse in shining white armor. The blue-eyed blond virgin fallen head-over-heels with your every word and action. However, this is actually a really narrow concept of love. Love is something much bigger. And includes many more people. If not – the whole world. Possibly the most important lesson in “The Art of Happiness”: suffering will inevitably happen. But, don’t blame God or your friends or yourself for it. It’s simply a part of life. And if you want to be happy, you’ll need to accept it. 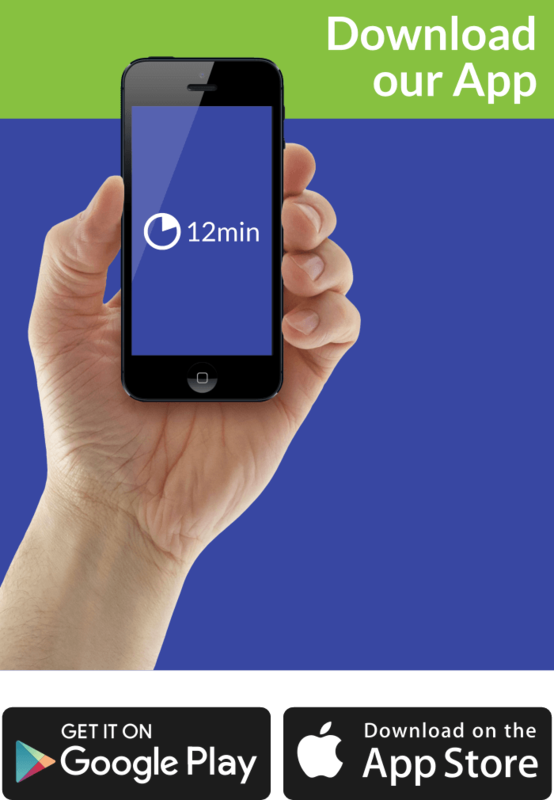 Even more – to learn from it. Because from suffering we learn the most about happiness. 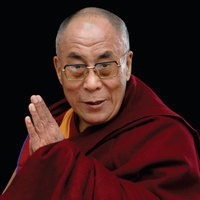 Namely, unlike other religious leaders and many believers, the Dalai Lama says that spirituality is not a domain of a particular religion; or even of religion in general. According to him, it’s everyone’s mission to find his or her own path, regardless of his/her cultural and religious background. The plasticity of Dalai Lama’s views, founded upon openness and honesty. 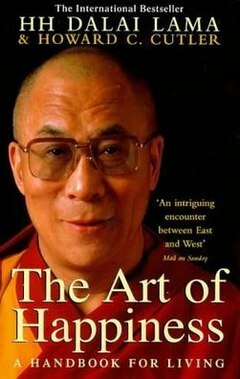 makes “The Art of Happiness” “an essential read.” Well structured by Cutler, the simple, and yet profound wisdom of Dalai Lama can have life-changing effects on almost anyone. A book for your perennial “rereading list,” “The Art of Happiness” is a rare amalgam containing the best of two worlds: Western skepticism and Eastern spirituality. We thank you Shella for your support. We’ll try to maintain this tempo with all our available assets in order to please our loyal readers.